Posted on March 13, 2015 | by a k | Leave a Comment on Spicy Hot Food is Great for You! So Spice It Up! Promotes weight loss Studies show that capsaicin, the compound that gives spicy chilies their kick, can raise the body’s internal temperature and improve metabolic processes, helping burn calories for up to twenty minutes after a spicy meal. Improves cardiovascular health Those cultures where spicy food is the most popular tend to have much lower rates of heart attack and stroke than the rest of the world. 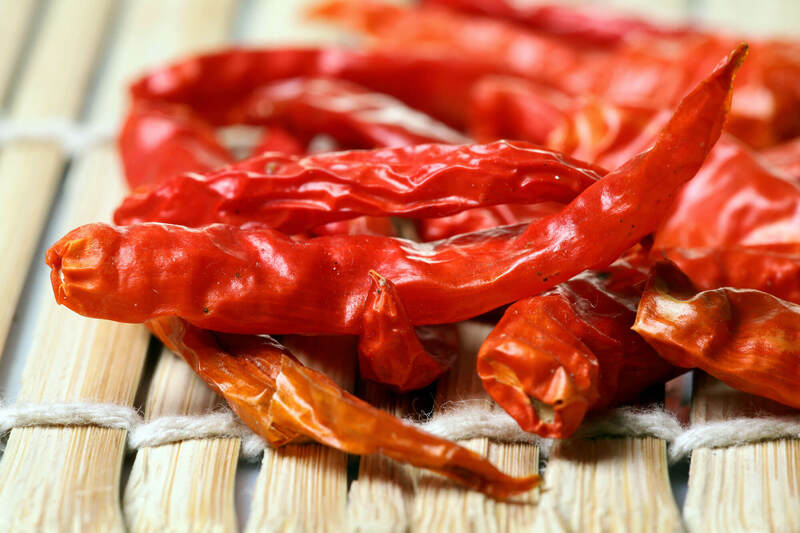 Part of the reason may be that capsaicin helps reduce inflammation, which is a major risk factor in heart disease. Lowers blood pressure Capsaicin has been shown to activate a receptor in blood vessels that helps relax them and lower blood pressure. Spicy foods also reduce the effects of bad cholesterol, another cause of high blood pressure and cardiovascular health problems. Prevents cancer The American Association for Cancer Research has found that capsaicin can kill certain kinds of cancer cells. And one of the key ingredients to many curry dishes and mustards – turmeric – may be able to slow the growth of tumors. If you aren’t someone who tolerates spicy food easily, you can still get the health benefits of capsaicin and other spices. Green and red bell peppers have capsinoid, a molecule that is similar to capsaicin and may mimic some of its benefits. And mild curry dishes contain all of the benefits of turmeric and other spices – without the burn.